Trees are striking features in any landscape design, but they need expert care and attention to make sure that they thrive without disrupting the rest of the garden. At TerraNova Landscapes, we know how to care for trees to get the best out of them. We can plant and provide ongoing care for trees of all species, shapes and sizes. When planting trees, we think carefully about the directions in which the tree is likely to grow, so that your garden continues to look beautiful over the long term. Trees can be a great asset to any decently sized garden or grounds, but they require regular pruning to stay healthy and safe. Damaged or diseased limbs need to be removed, areas of dense growth thinned out to allow the tree to grow healthily, and the outermost branches pruned to keep the growth of the tree under control. Unfortunately, trees that are severely damaged or diseased can be dangerous, as they could suddenly be blown down during high winds, potentially resulting in damage to your property. 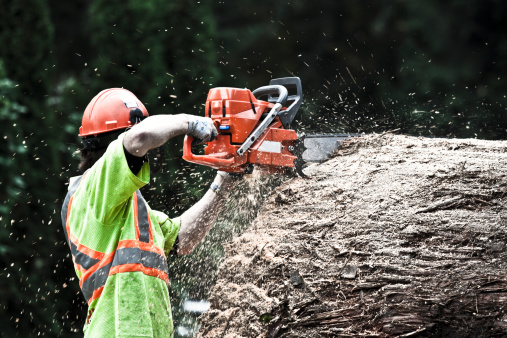 Damaged and ailing trees may need to be felled by a professional tree care expert to prevent them from falling and causing serious damage during the next big storm. We can safely fell trees to remove the risk that they pose to property and human life.